Born and bred kiwis, these two fell in love in amongst the cute cafes and gorgeous beaches of the North Shore. Shortly after getting engaged, they made the big move across the world to spend a couple of years in a much bigger city - London. They've been jet-setting around Europe, making the most out of this corner of the world before heading back to New Zealand where they're building their future together. 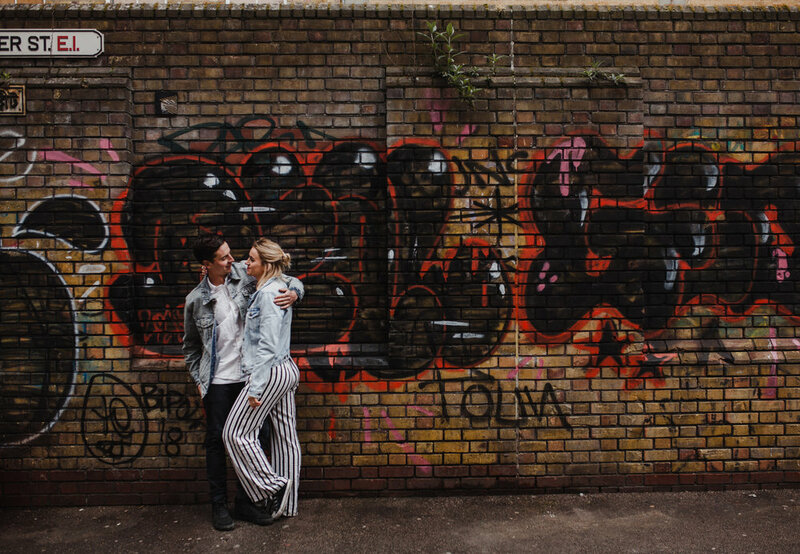 I met these two when they moved into my friends south London flat and couldn't wait to photograph them as soon as I heard they were engaged. 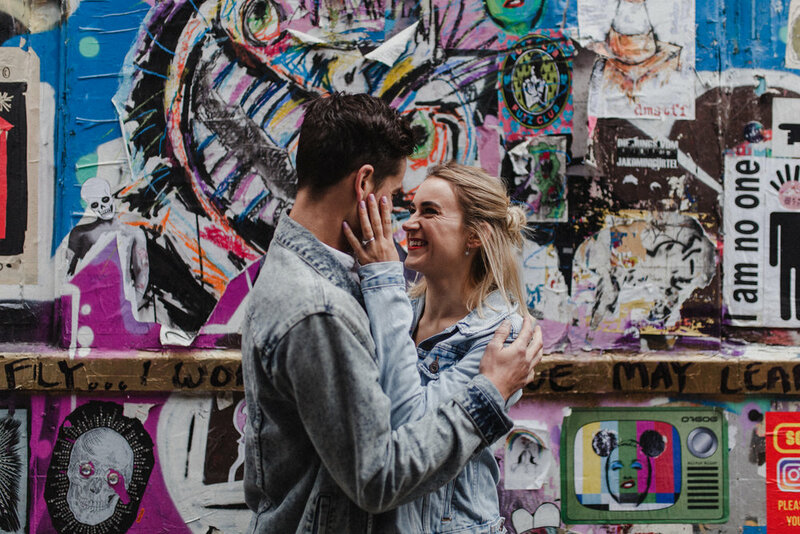 Petra and Phil are a bundle of laughs, effortlessly cool and full of love for eachother. 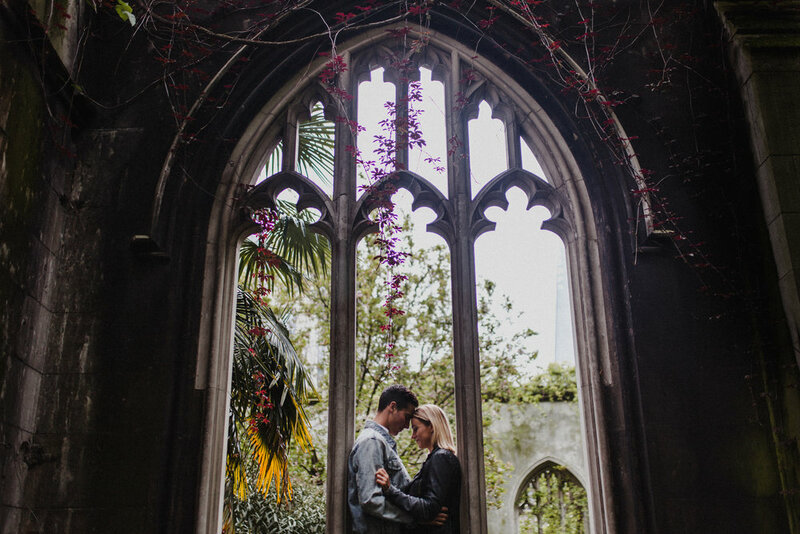 We explored St Dunstan in the East and discovered what a stunning little set of ruins lies smack bang in the middle of the financial district! We then decided the best way to finish off such a great afternoon was with a curry, and headed to Brick Lane. Brick Lane is one of my favourite spots in London with so much street art and interesting walls and textures - it's a photographer's dream! Here are some of my favourite pics from the day.